What did the media know and when did they know it? Since 2010, guns linked to Obama’s Fast and Furious have turned up at crime scenes in Mexico and the United States and we’ve barely heard a peep in the news. The latest gun traced back to the operation was found after a shootout between authorities and Mexican drug cartel thugs in late December 2013. Erik Holder was right. Though he refuses to take any responsibility for the tragic Fast and Furious operation, he did admit we’re going to see even more deaths in Mexico for years to come as a result of the Obama administration’s operation. How is this not a major story? Holder’s DOJ is still under investigation, but since there has been so little coverage from the beginning, there is no pressure on the administration, which means Americans may never know the truth. Let’s review the facts from the Fast and Furious scandal and you can decide whether the media should have reported this all along. Eric Holder’s chief of staff, deputy attorney general, Gary Grindler, oversaw the Bureau of Alcohol, Tobacco, Firearms and Explosives, which led the failed “gun-walking” operation. He was another member of the Justice Department that resigned a year ago. A report at the time from House Oversight Committee chairman Darryl Issa recommended disciplinary action against Grindler and 13 other officials; Grindler was accused of “passing the buck” and failing to take charge of the department. 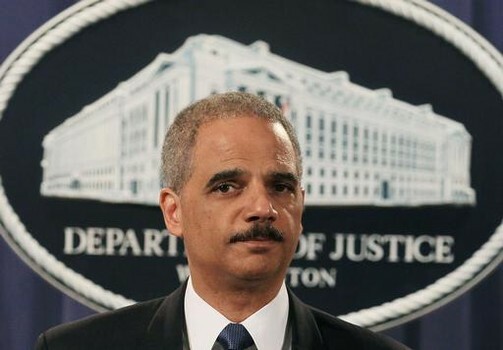 In June 2012, U.S. Attorney General Eric Holder was voted in con­tempt of Congress by 259 members of the House of Representatives for stonewalling the investigation into the Operation Fast and Furious scandal. In all of American history, no sitting Cabinet member had been held in contempt of Congress. President Obama even stepped in and used his “executive privilege” to protect Eric Holder. If Holder did nothing wrong, why did he need protection and why not cooperate with the investigation? What are they hiding? In this case, American guns were used in the deaths of U.S. Border Patrol Agent Brian Terry, Immigra­tion and Customs Enforcement Agent Jaime Zapata, and at least 210 Mexican citizens so far. The gun used in Terry’s death was purchased in Arizona, and the gun used in Zapata’s death was purchased in Texas. Both were “Fast and Furious” guns. From 2009 to 2011, Obama administration ATF ran Operation Fast and Furious (a.k.a. Project Gunrunner), a program to track U.S.-purchased firearms headed to Mexican drug cartels in order to get to cartel heads. Critics believe the real purpose of the operation was to undermine the Second Amendment by vilifying gun owners and sellers so the govern­ment could enforce stricter gun laws in America. Either way, it went terribly wrong. One problem with the plan was that our DOJ didn’t even notify Mexican authorities that thousands of semi-automatic firearms were being sold to people in Arizona thought to have links to Mexican drug cartels. ATF agents were ordered not to intercept the smugglers, but rather to let the guns ‘walk’ across the U.S.-Mexican border and into the hands of Mexican drug-trafficking organizations. Fast and Furious was botched when over 1,400 guns, including AK-47’s, were lost. The operation was halted in December 2010 after two weapons the department lost track of were found at the murder scene of Brian Terry. His family filed a lawsuit charging that the top federal prosecutor in Phoenix lied to them about the guns found at the crime scene in an attempt to hide the weapons’ connection to the ATF’s operation. Rather than report the facts, the media made this a political issue, and Holder has even accused Republicans of racism. Rep. Issa and Sen. Charles Grassley (R-Iowa) requested the Justice Department release thousands of documents related to the inner workings of Fast and Furious. The Justice Department then delivered less than ten percent of the 80,000 documents. Issa also released a report suggesting top DOJ officials had extensive knowledge of and involvement in Fast and Furious than previously acknowledged. In February 2011, the Justice Department sent a letter to Congress denying the operation even existed! Ten months later, the Department retracted the letter. Then, Eric Holder insisted he did not even know about the program until early 2011. After months of inves­tigation, the Justice Department finally acknowledged the allegations were true. Why did it take nearly nine months for the Department to acknowledge Holder’s earlier denials were false? Did they need ‘cover-up’ time knowing the media would give them a pass? In other words; people died, Holder lied, and the media glossed over the corruption. Why did senior Justice Department officials who knew about and received briefings on the operation fail to stop it? By the way, Gary Grindler isn’t the only personnel change in the DOJ. Former ATF Director Kenneth Melson began talking to inves­tigators and pointed to a cover up. Melson was moved to a new position with the ATF. At least four more ATF officials were also reassigned or promoted by the Obama administration to other positions in Washington D.C. This is how the Left rolls. With so little accountability, is the Obama administration simply above the law? Tragically, the DOJ has yet to publicly hold anyone accountable for this disastrous operation, and the bottom line is Americans are no longer getting the truth from a free press once established to keep government in check.